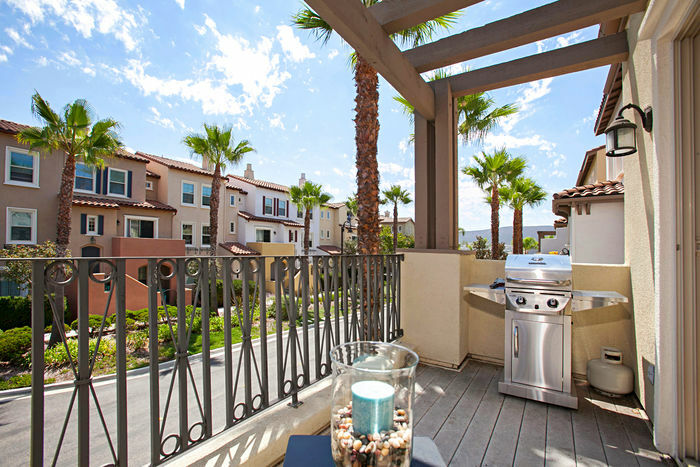 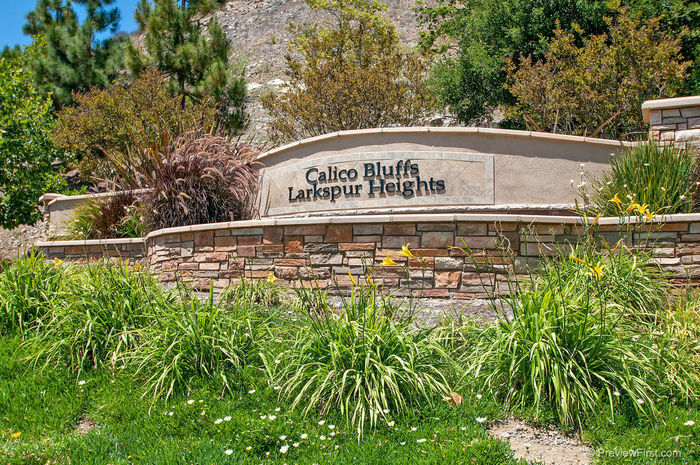 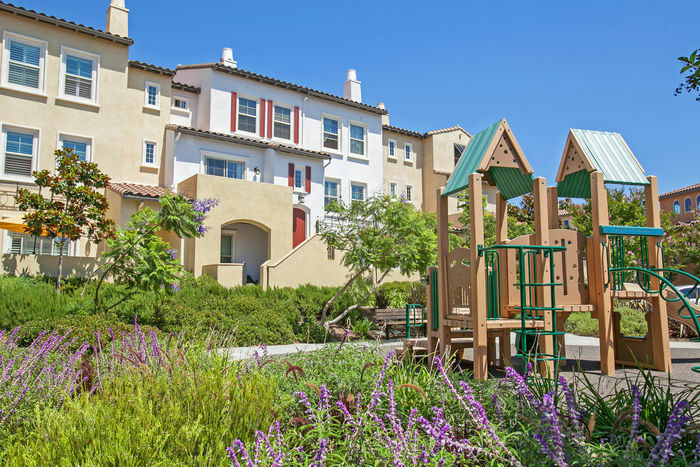 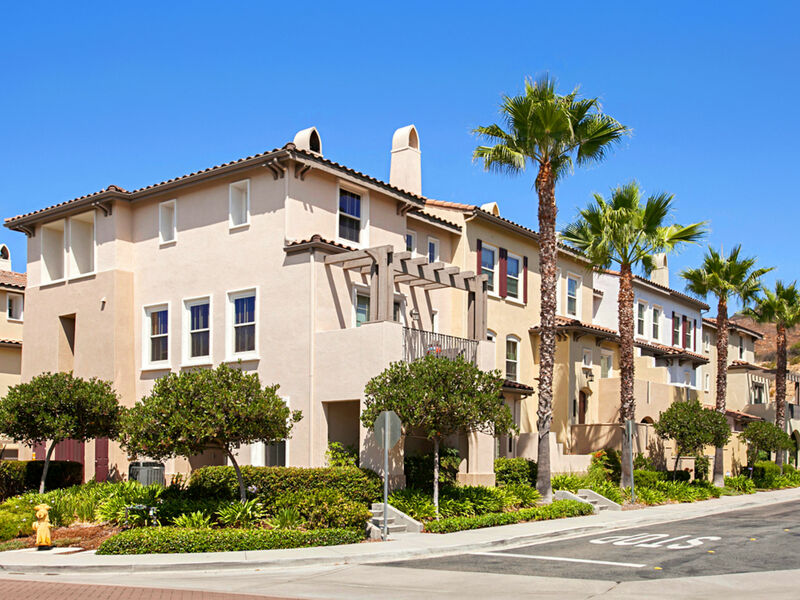 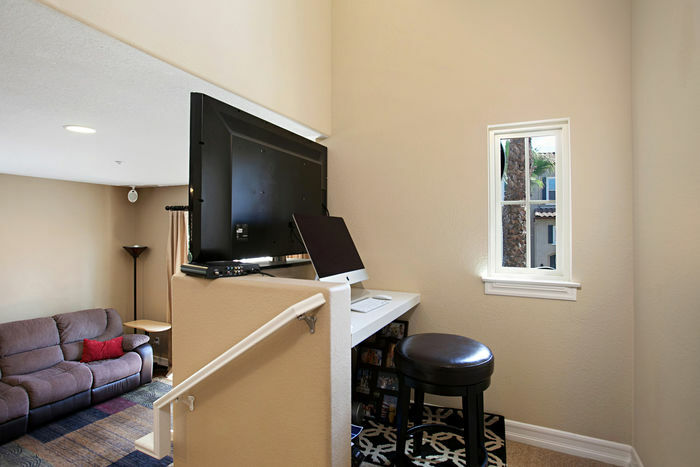 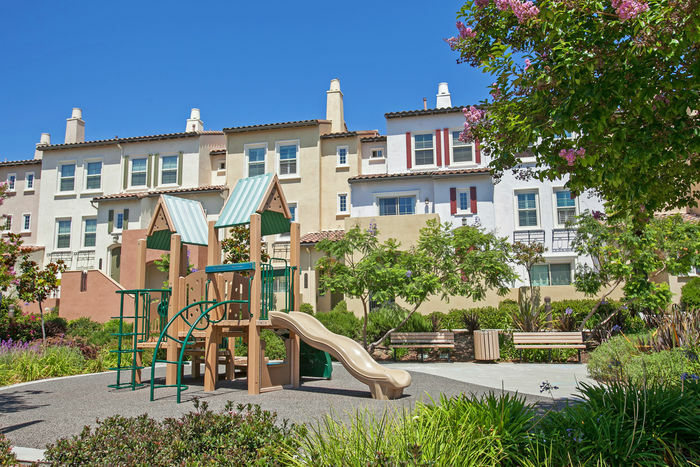 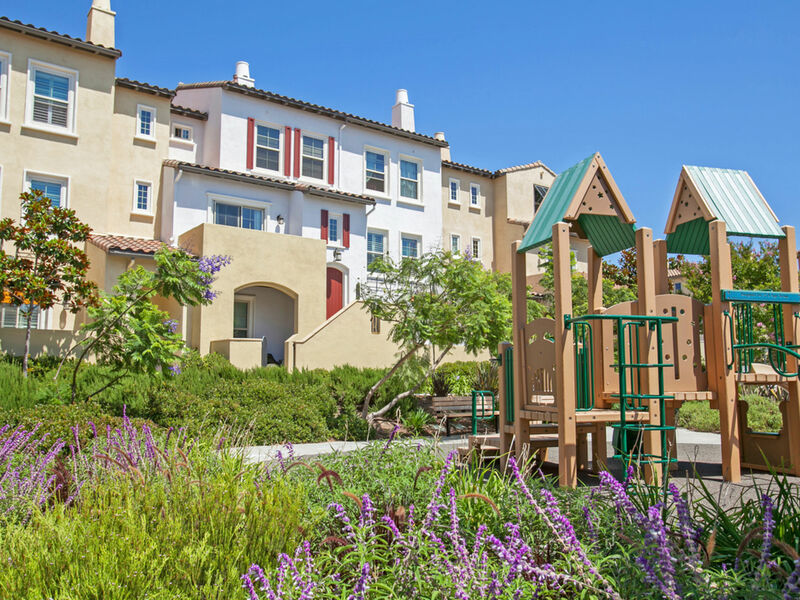 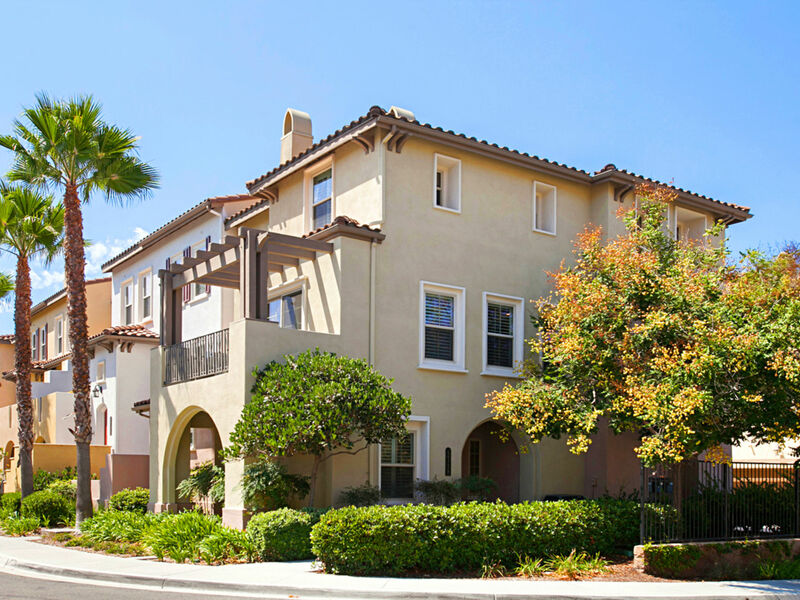 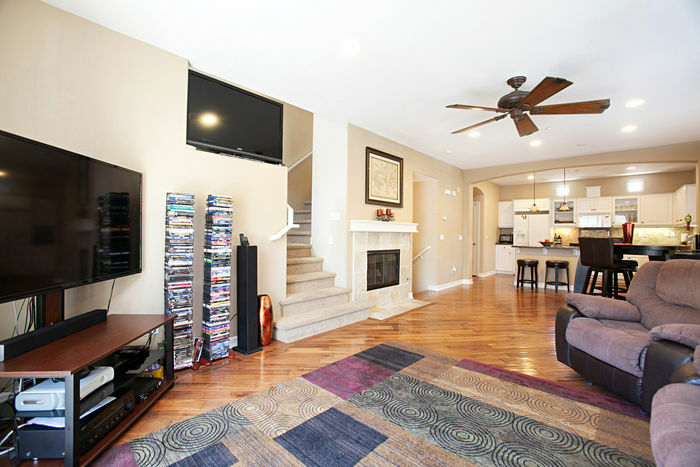 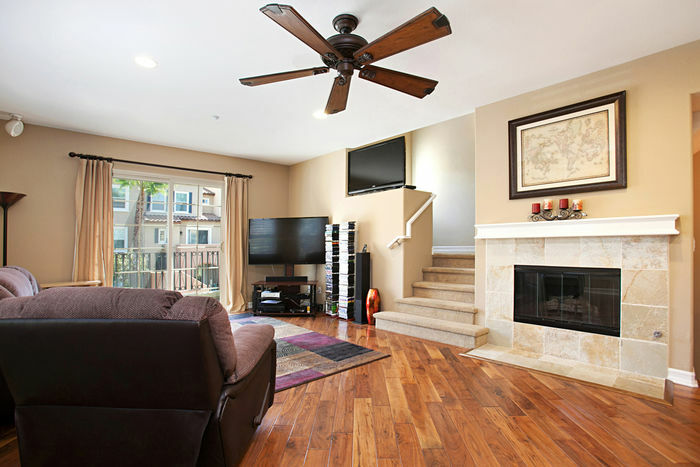 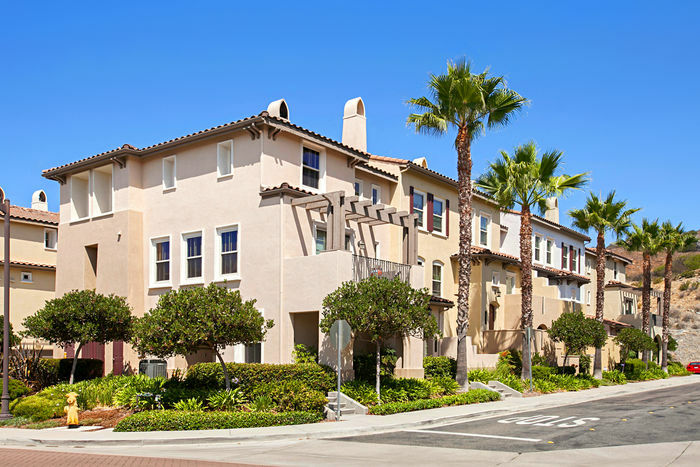 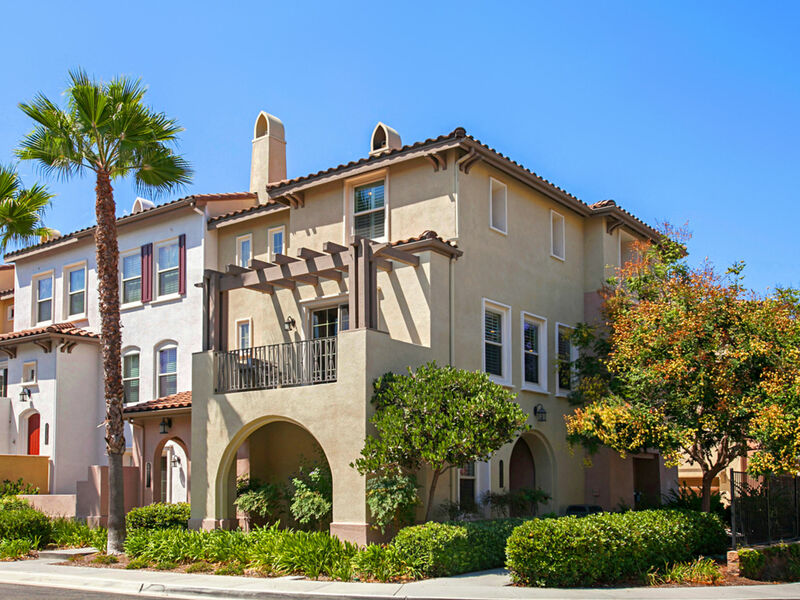 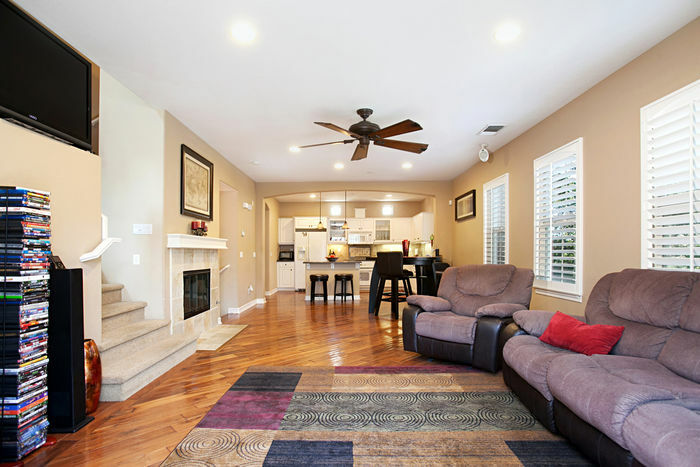 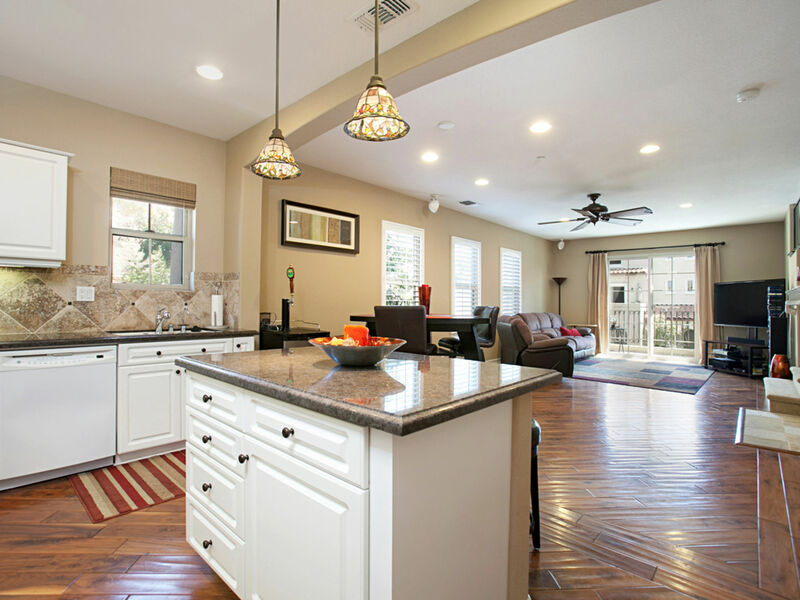 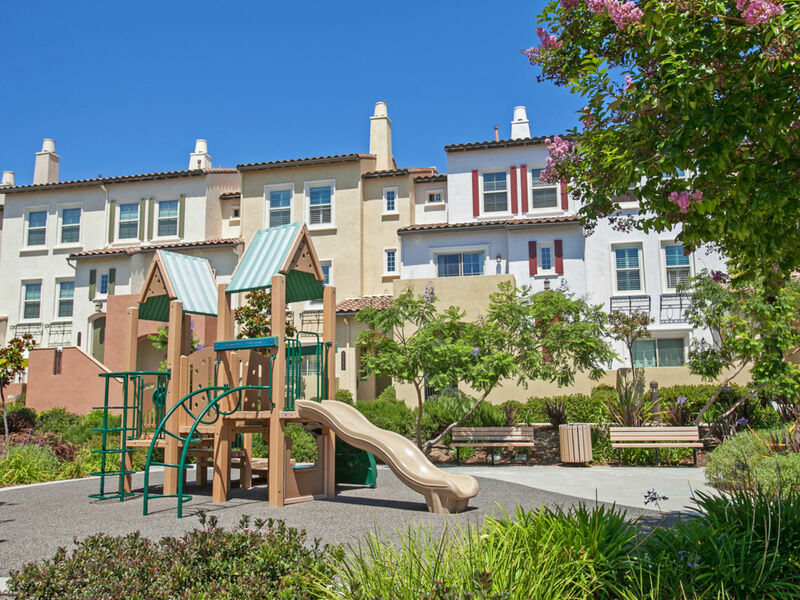 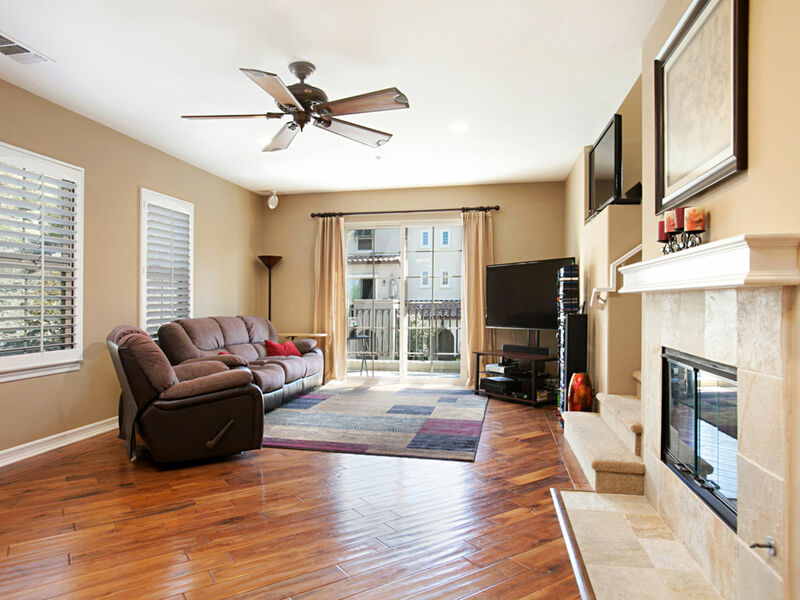 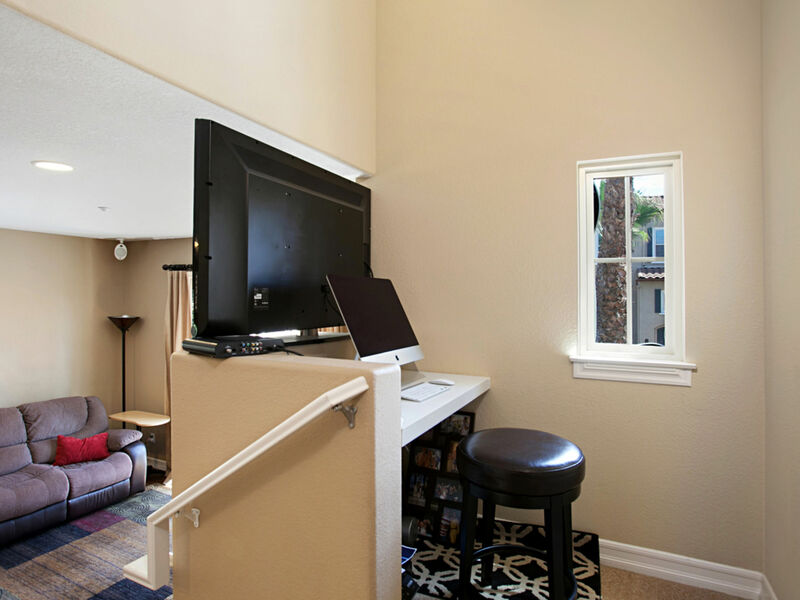 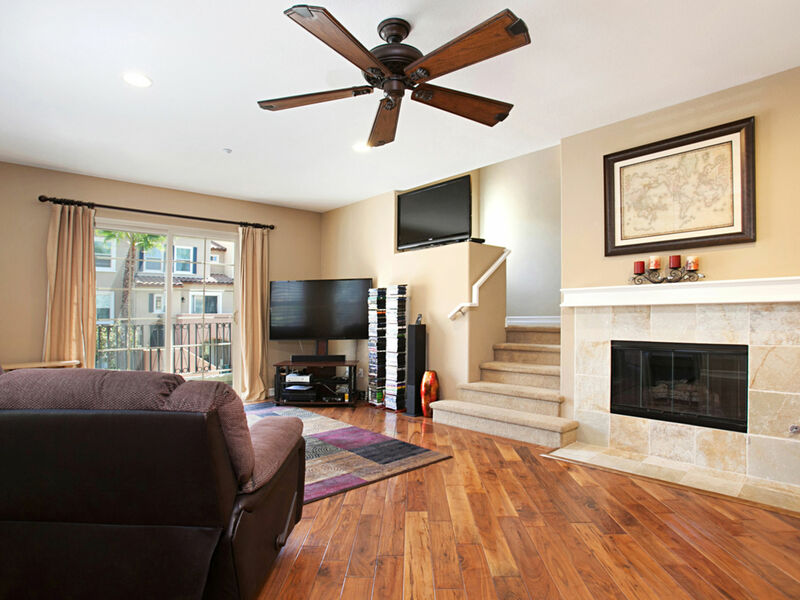 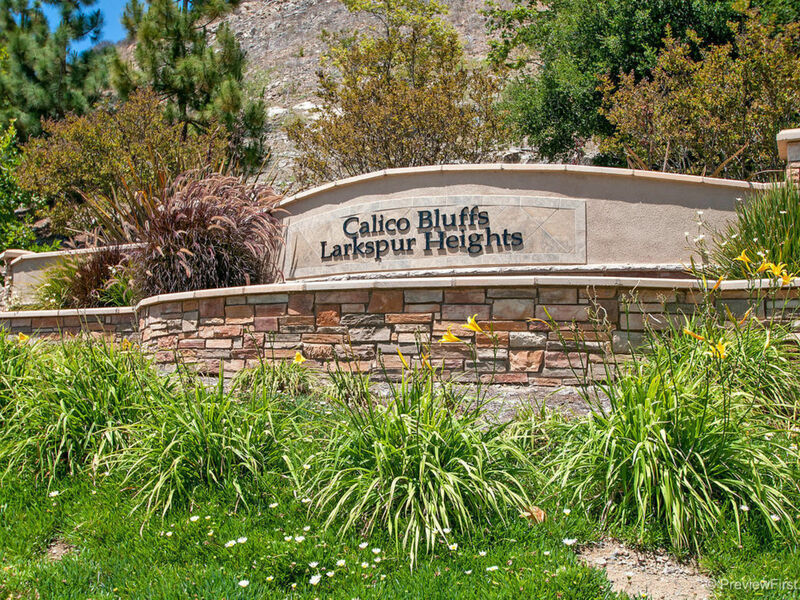 Former Model Townhome in Larkspur Heights Sought after Floor Plan #3 which has 3 bedroom, 3.5 bathrooms and a 2 oversized car garage with lots of storage. 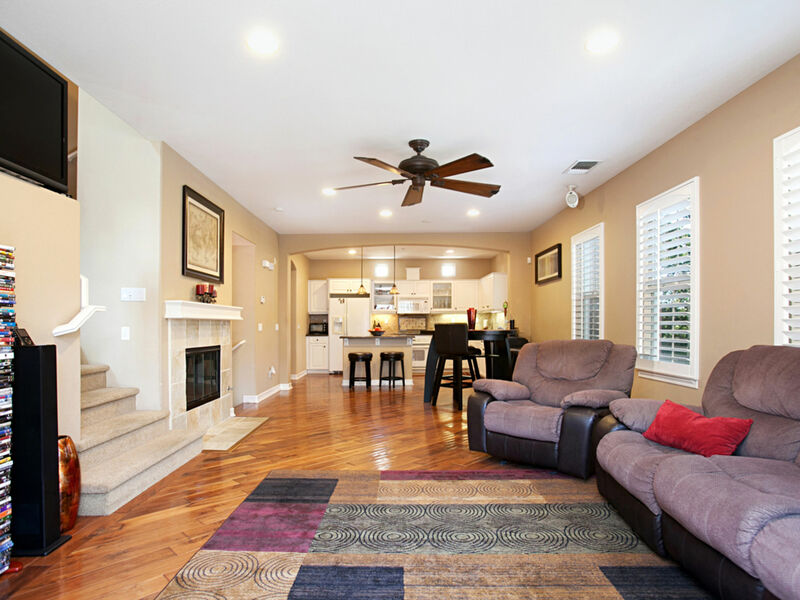 Upgraded hardwood flooring, high vaulted ceilings with lots of natural light, custom paint, window treatments and plantation shutters. 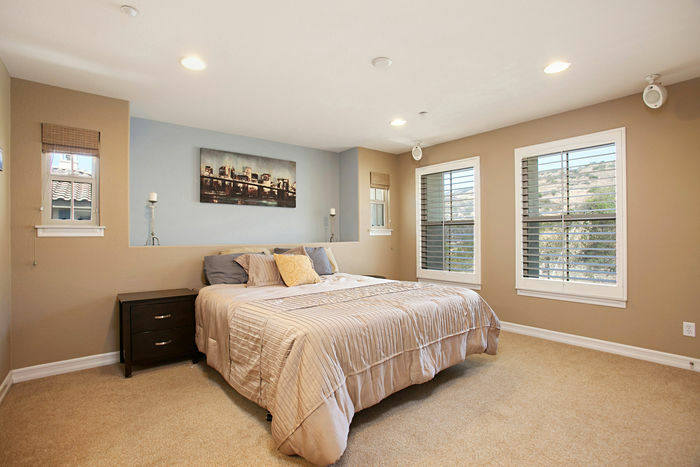 There is also a sound system throughout and wired for alarm system. 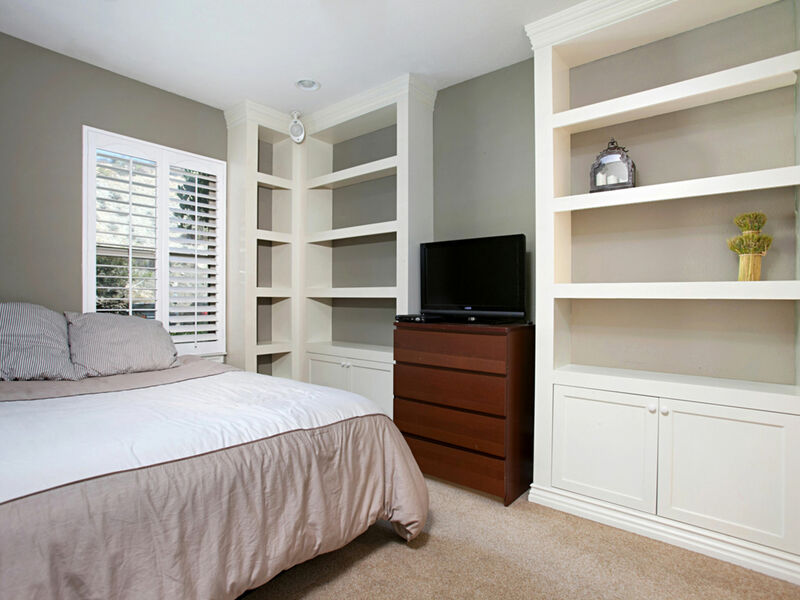 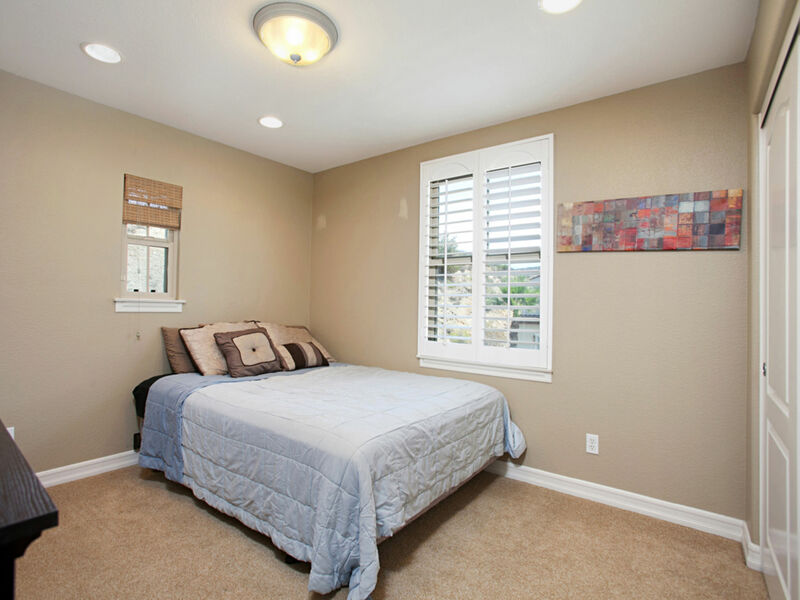 At the bottom level is the first guest bedroom with built-ins, closet and full bathroom. 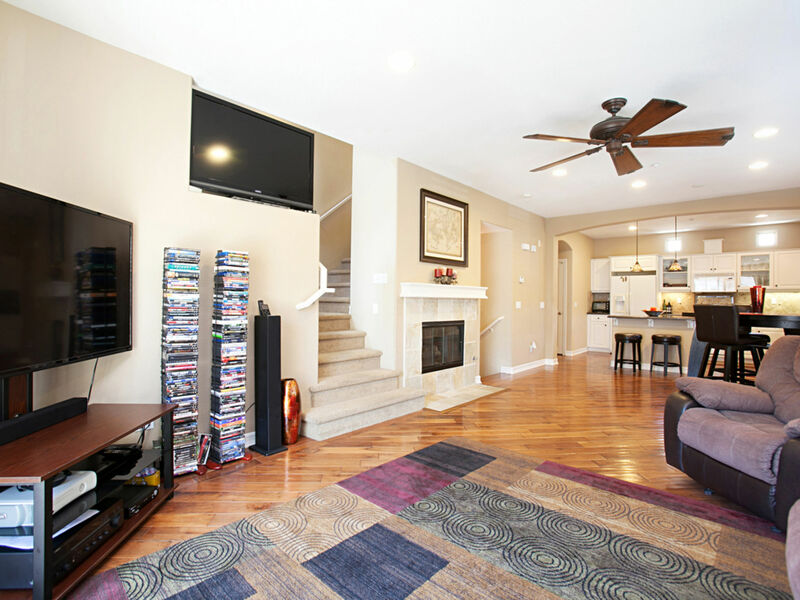 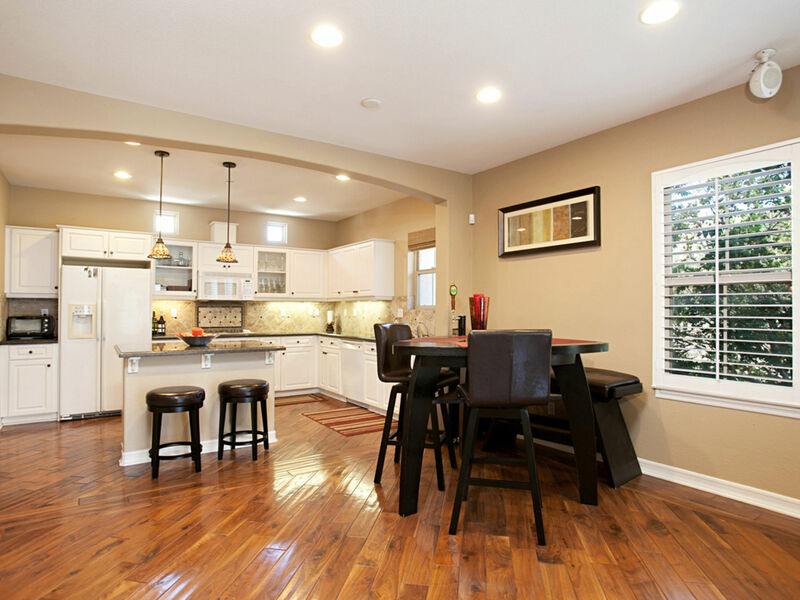 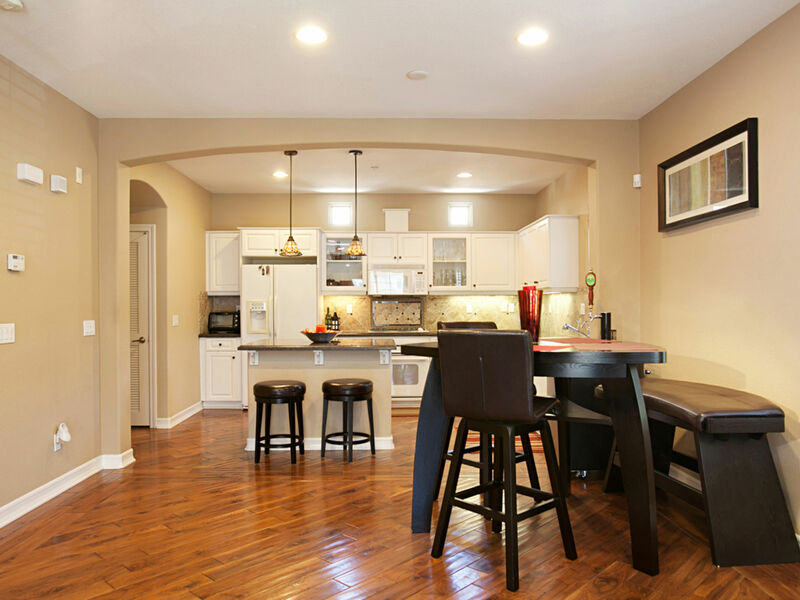 Upstairs is the open concept living room, dining room and kitchen perfect for entertaining. 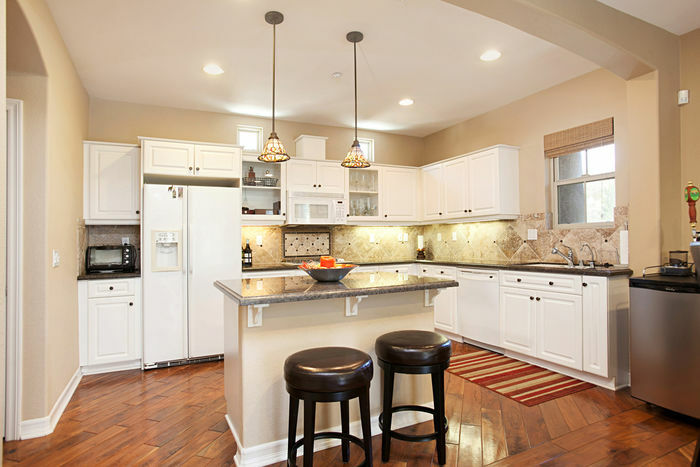 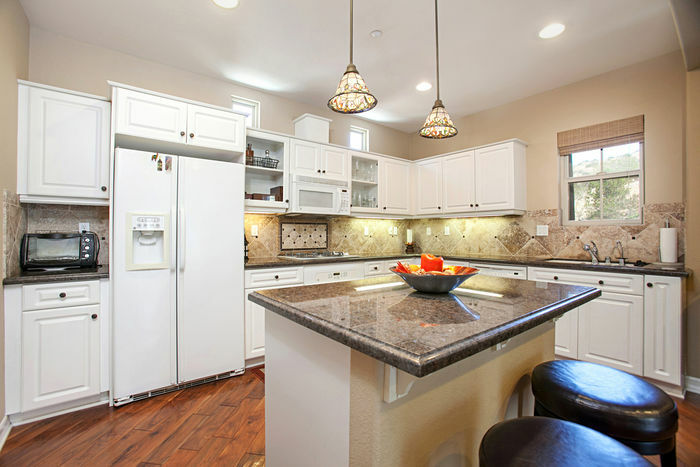 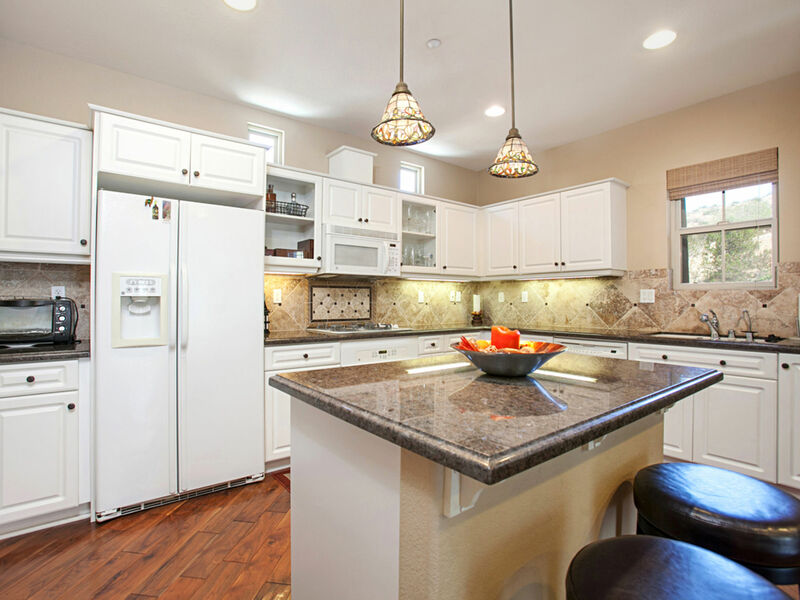 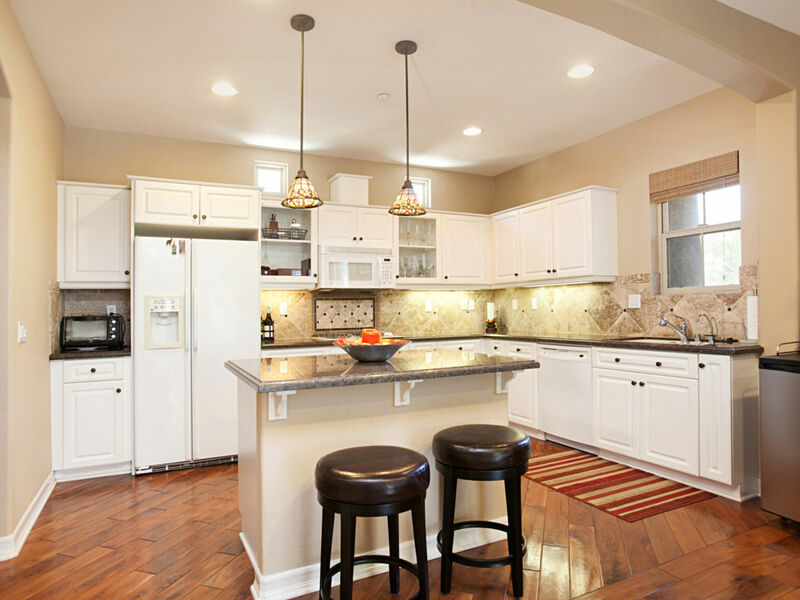 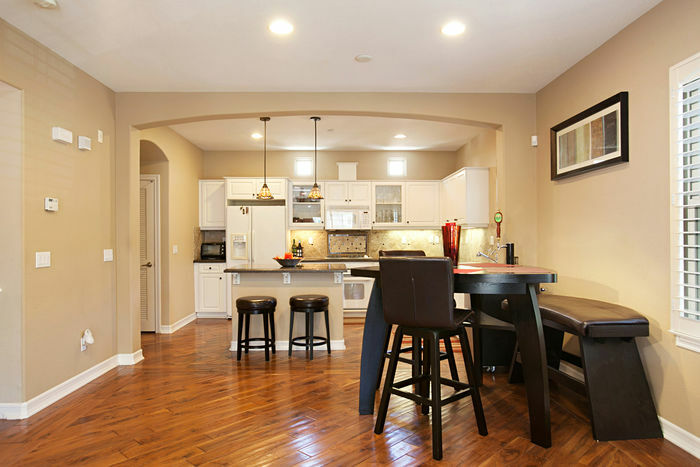 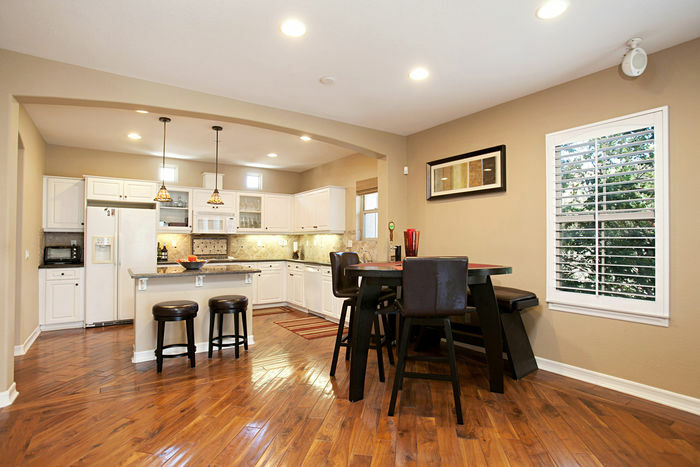 The large kitchen has upgraded cabinets with glass doors, a center island, granite countertops and upgraded appliances. 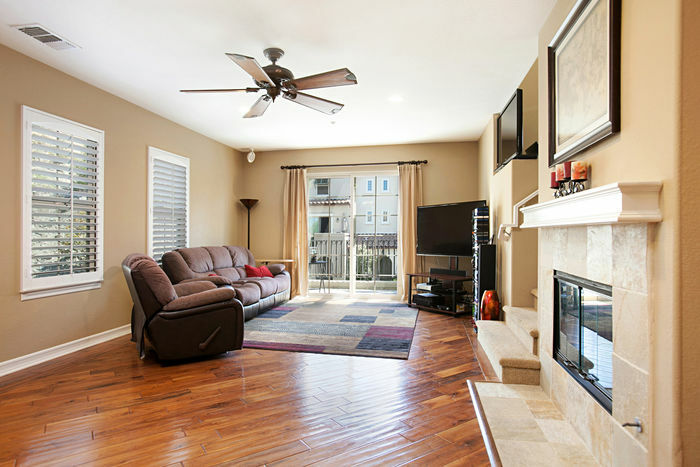 The large deck is located off the living room perfect for BBQing. 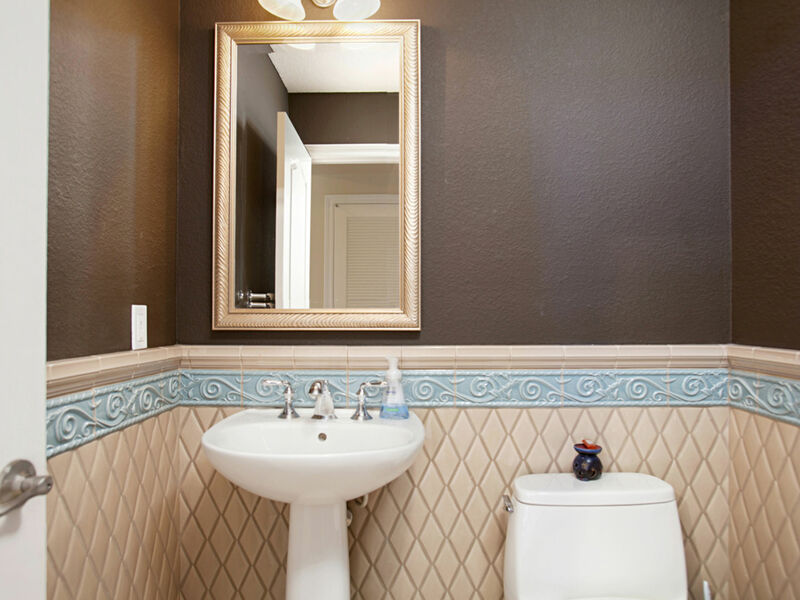 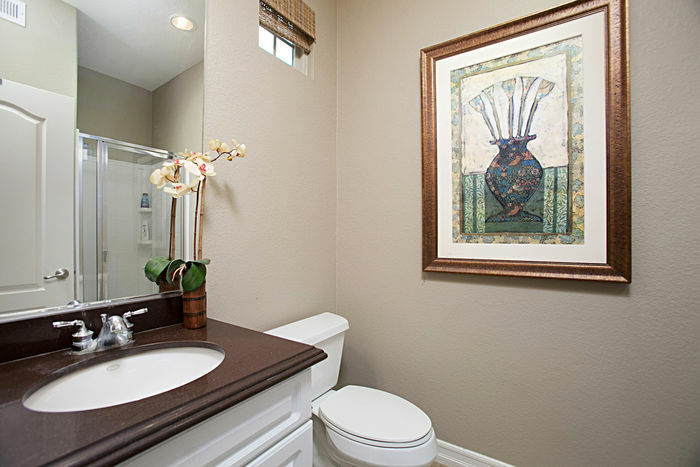 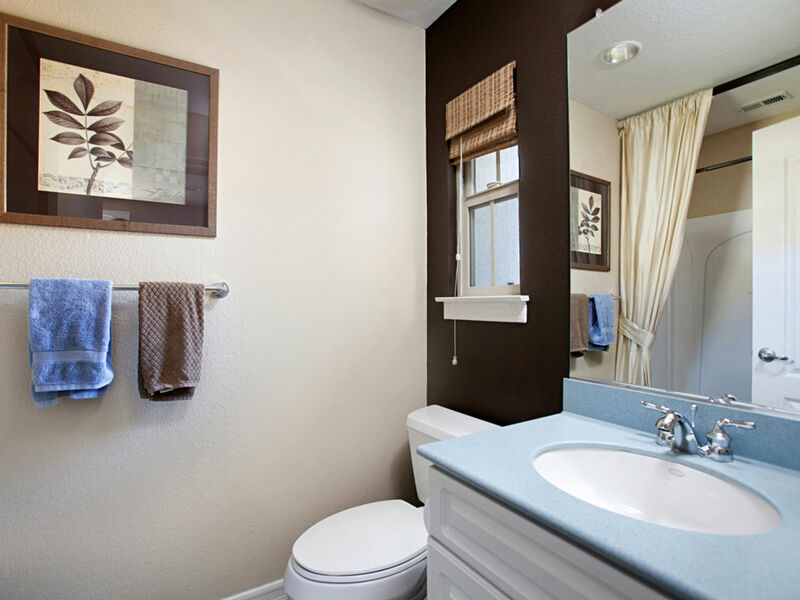 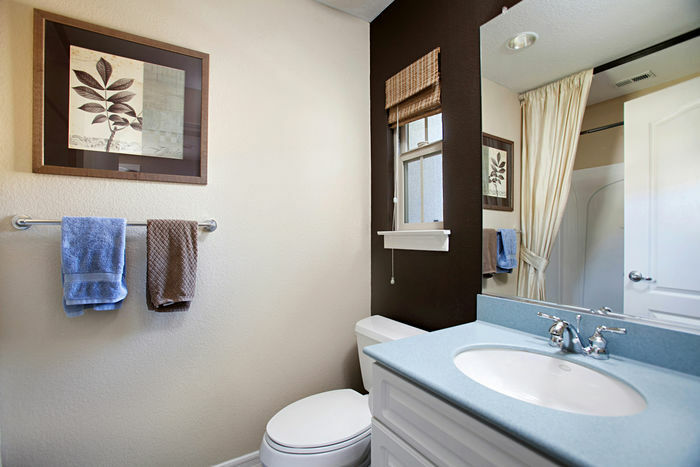 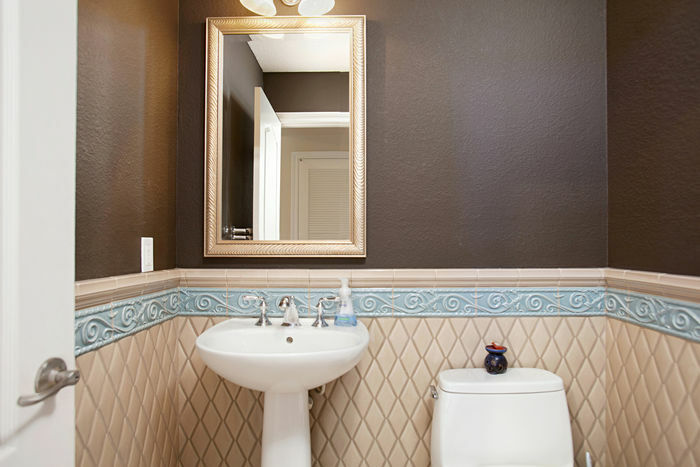 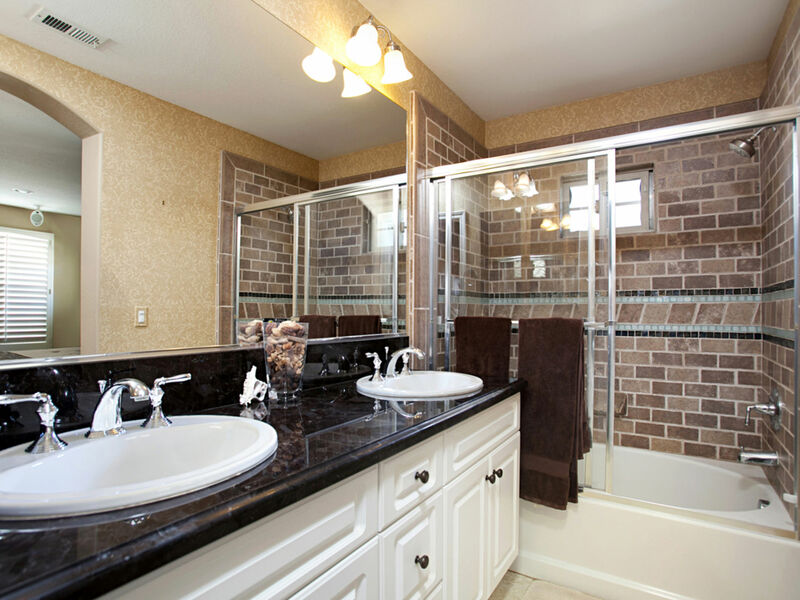 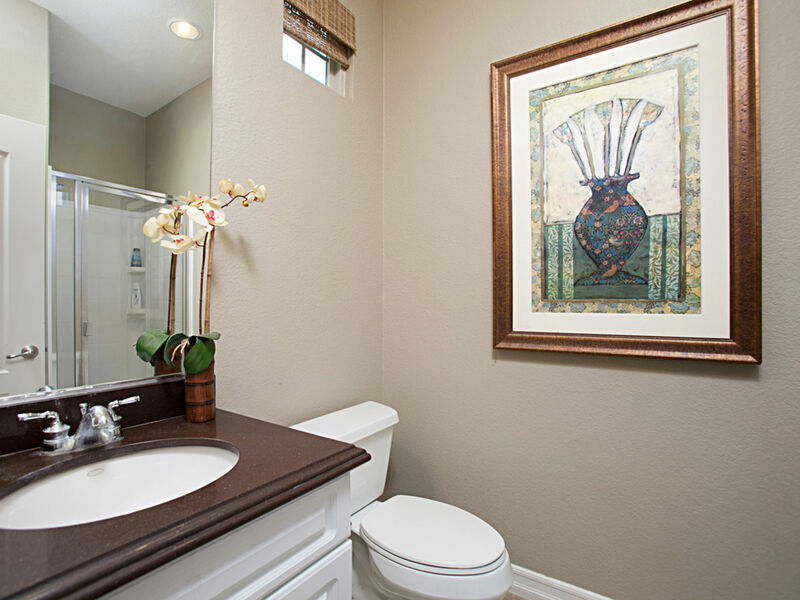 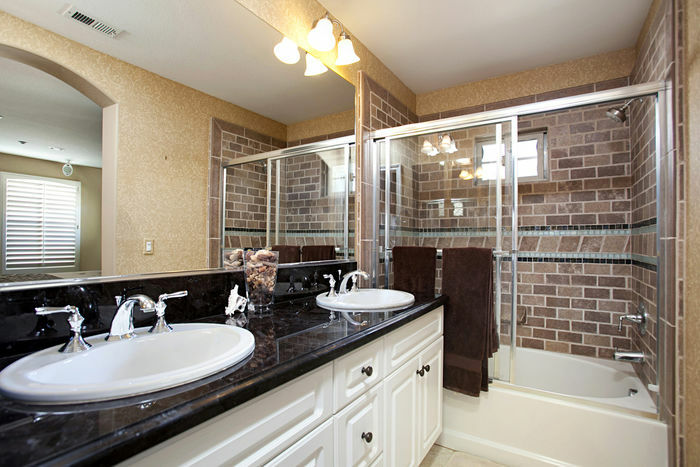 The Master bedroom has a walk-in closet, dual sinks, and custom tile back-splash in the shower. 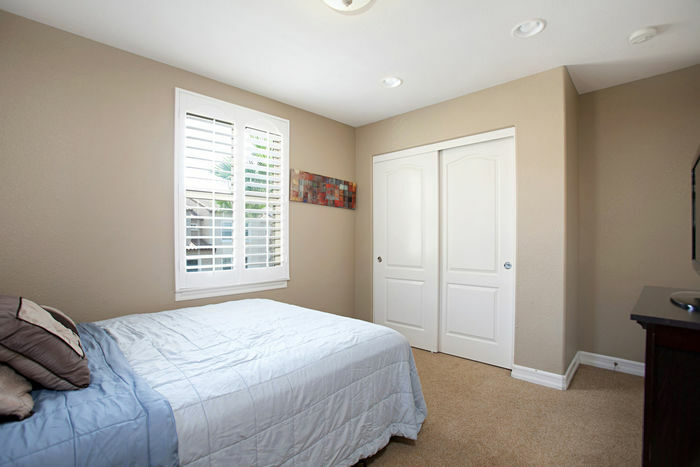 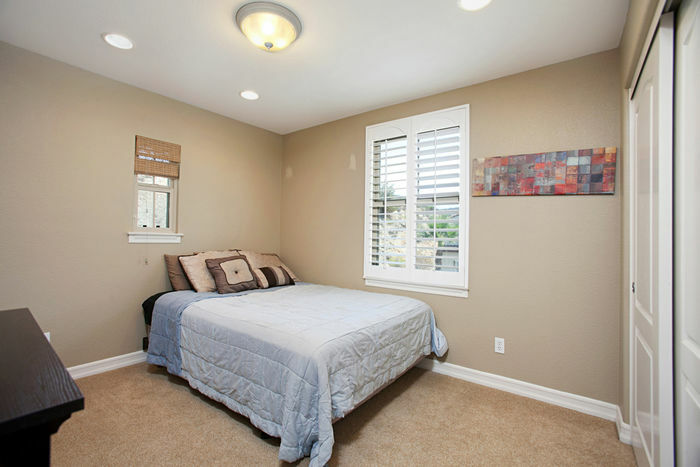 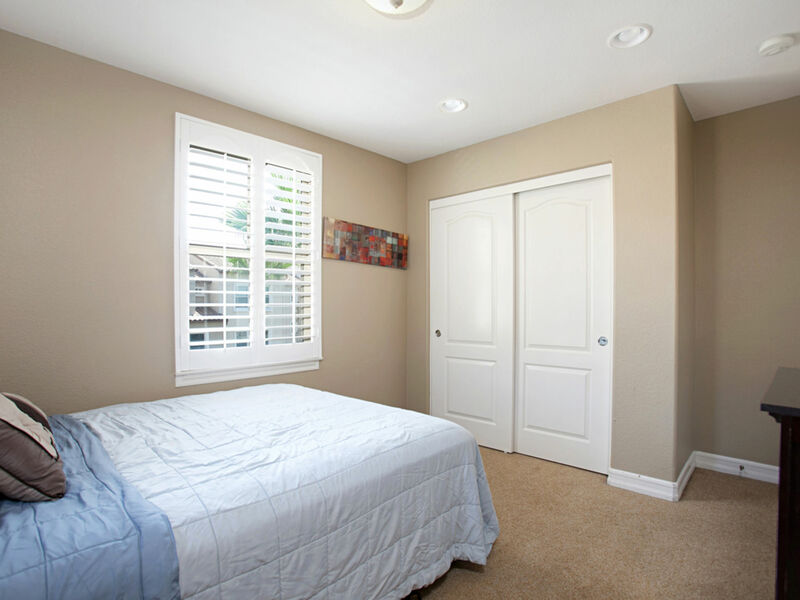 The second guest bedroom has lots of natural light, closet and full onsite bathroom. 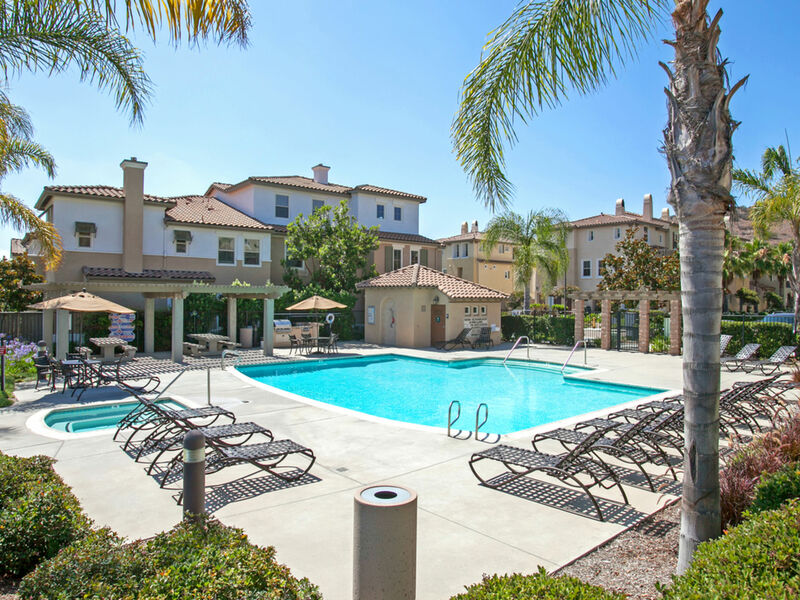 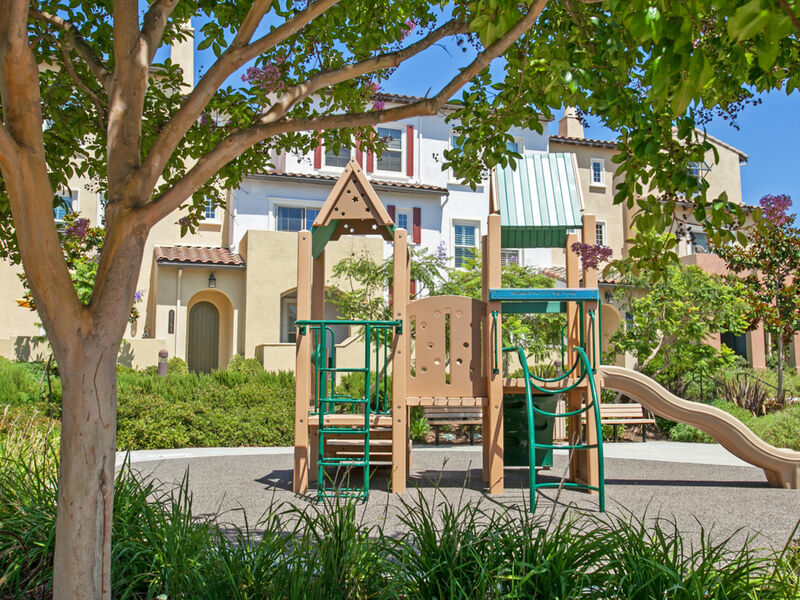 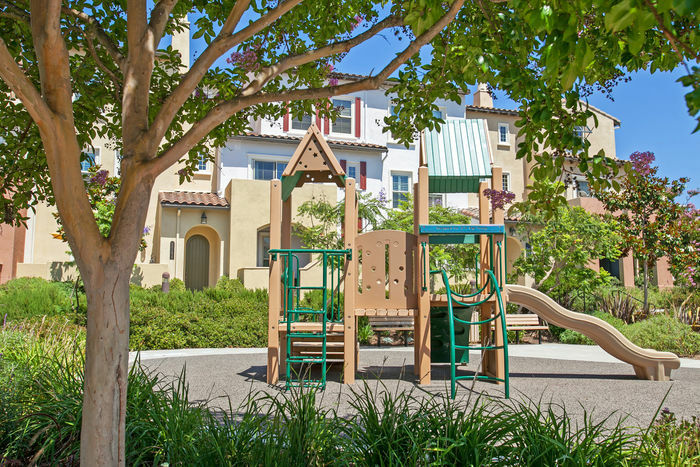 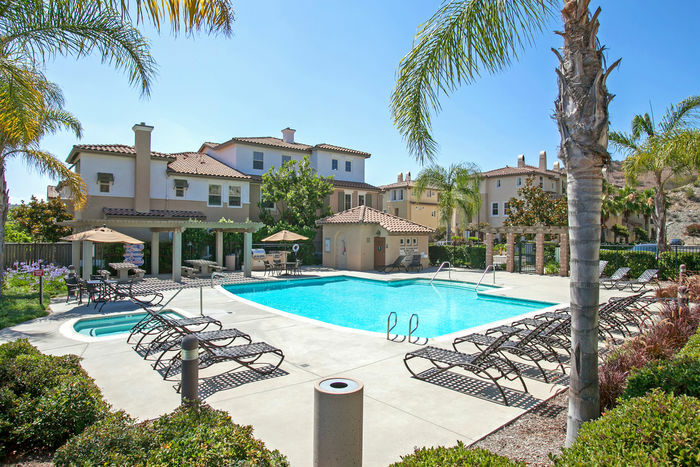 The community features a large pool, spa, BBQ’s, and playground. 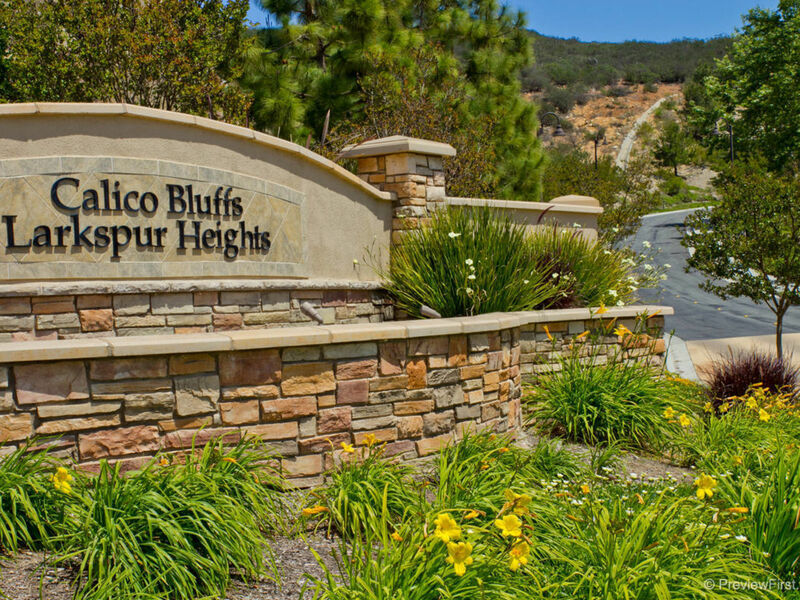 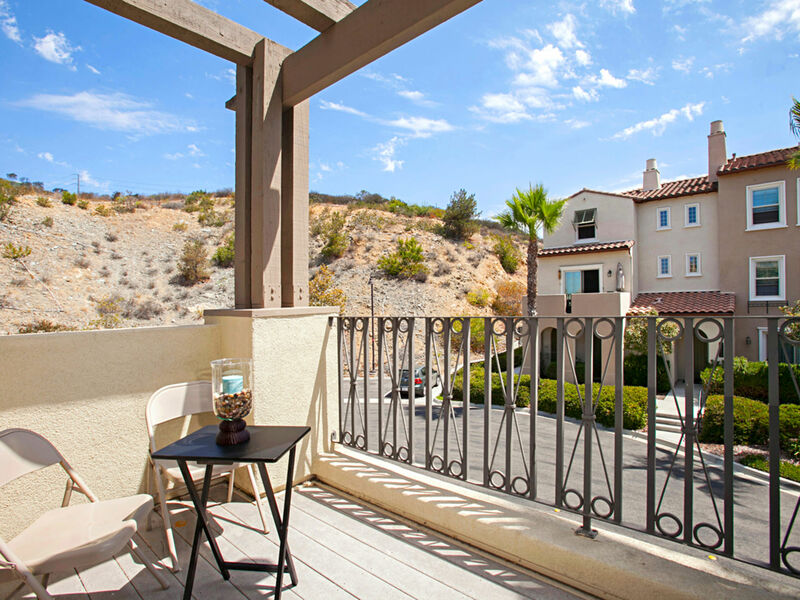 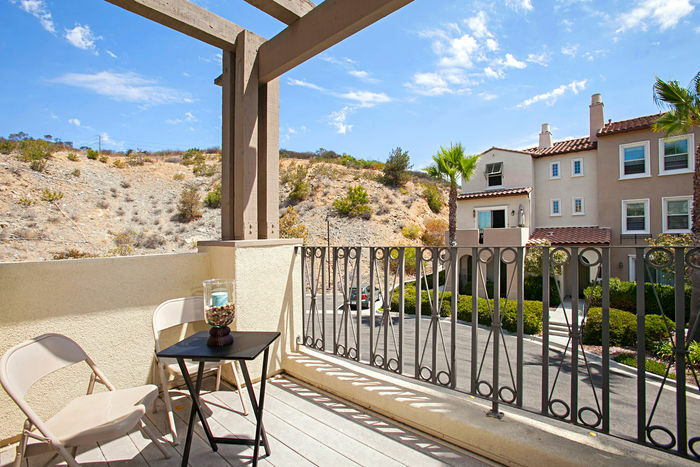 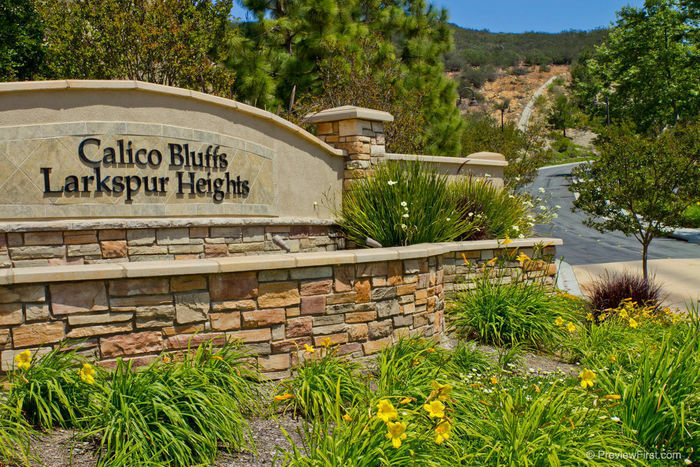 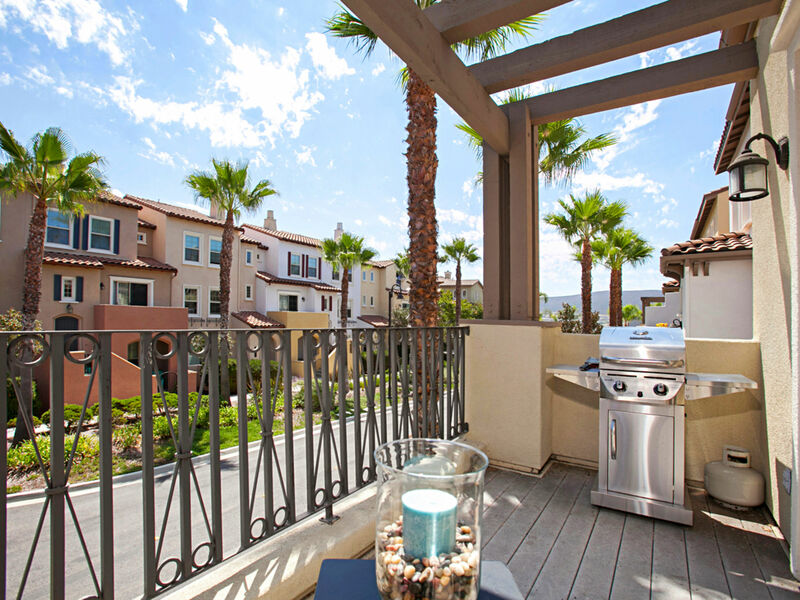 With nearby hiking trails, restaurants, shopping, and highly ranked schools! 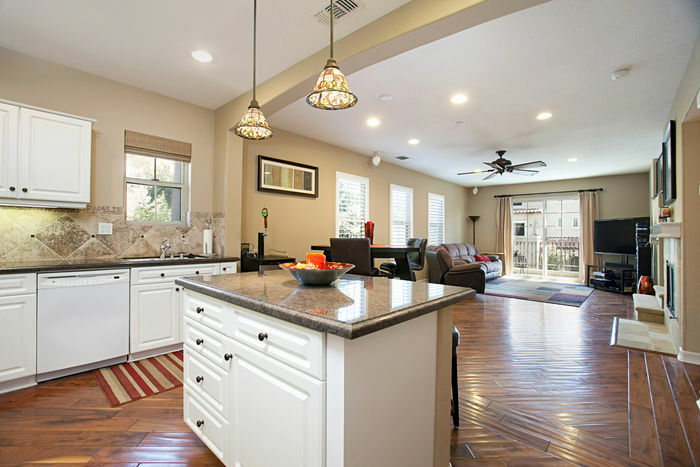 This turn-key home is absolute must see!